Bankers have savaged the forthcoming EU cap on bonuses for reducing wiggle room on pay. But even if bosses did want to cut payouts in bad years, a big chunk of variable remuneration is now deferred. That means bonuses are already more fixed than it might appear. 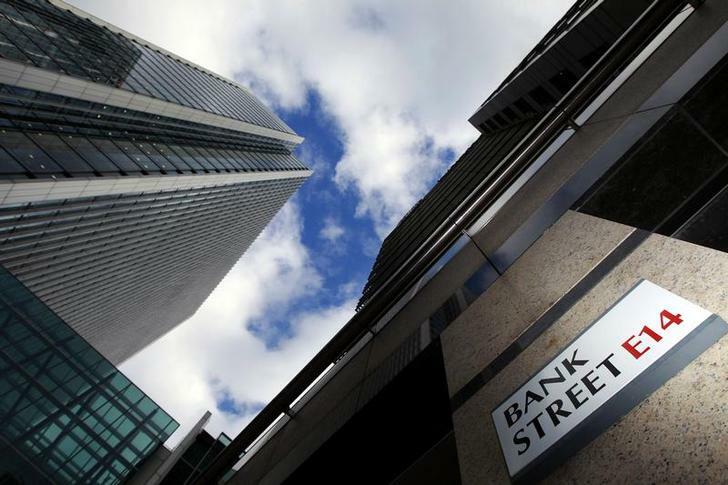 A sign for Bank Street and high rise offices are pictured in the financial district Canary Wharf in London. Reuters: Aberdeen CEO wants UK banks to become "boring"
Barclays on Feb. 11 reported that its full-year 2013 investment bank pretax profit was 2.5 billion pounds, down 37 percent on 2012. The division’s return on equity was 8.2 percent in 2013 versus 12.7 percent a year earlier. However, Barclays raised its investment bank’s bonus pool by 13 percent. For 2013, Barclays paid 4.6 billion pounds in total compensation to its 26,200 investment bankers. Of that, 1.7 billion pounds comprised bonuses, with just 31 percent of those awarded during the course of 2013.